If something seems to be going wrong on the app, the first step to try is to close the app completely and then re-open it. To close the app this, tap on your device's app manager, and swipe to close the Trello app. Finally, you can view the Sync Queue in the settings menu. To get to "Settings", select the hamburger icon in the upper left corner. This will open the navigation drawer where you'll see "Settings" at the bottom. 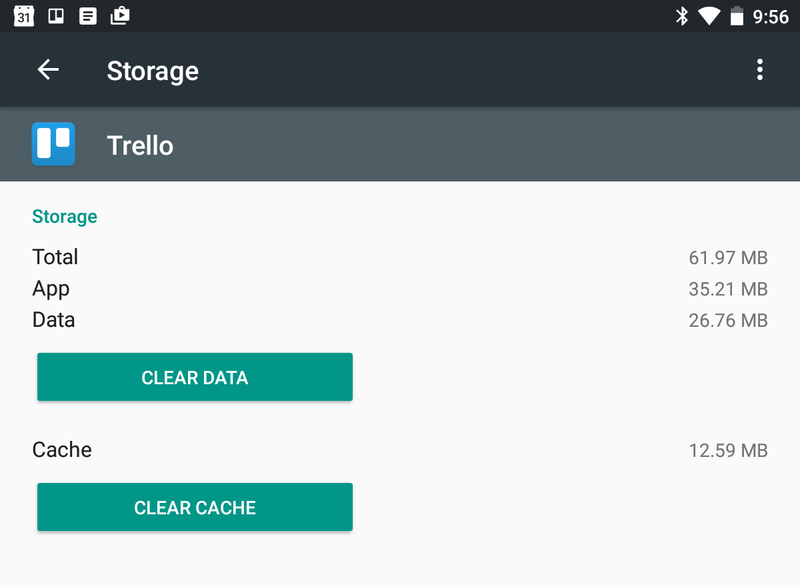 Sometimes, cached data in the Android app will cause your Android device to be out of sync with the web interface. To clear that, open your phone's Settings app, then go to 'Apps' and scroll down until you see the Trello app listed. Tap on Trello, and then tap on 'Storage'. Finally, tap on "Clear Cache". 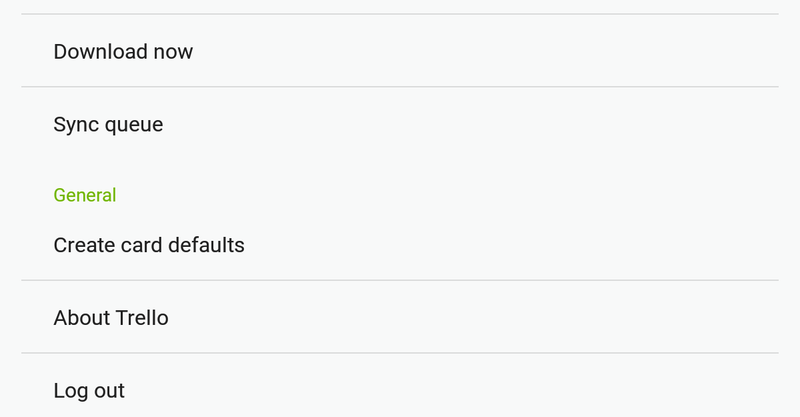 If clearing the cache doesn’t help, you may want to try logging out of the app and back in. 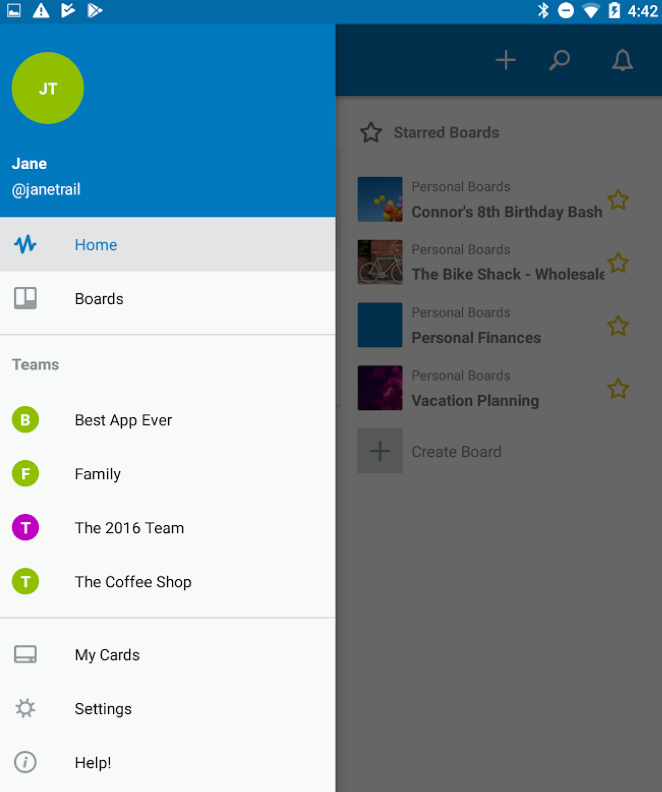 To log out, first open the Trello app, tap the hamburger menu button in the upper left, and select "Settings" at the bottom of the navigation drawer. If the problem persists, you can also reinstall the app. Delete the app from the device, and reinstall it from the Google Play Store. You’ll need to log in again.